The Morwell Power Station and Briquette Factories including the power station, two briquette factories, coal transportation systems, storage areas and ancillary buildings. 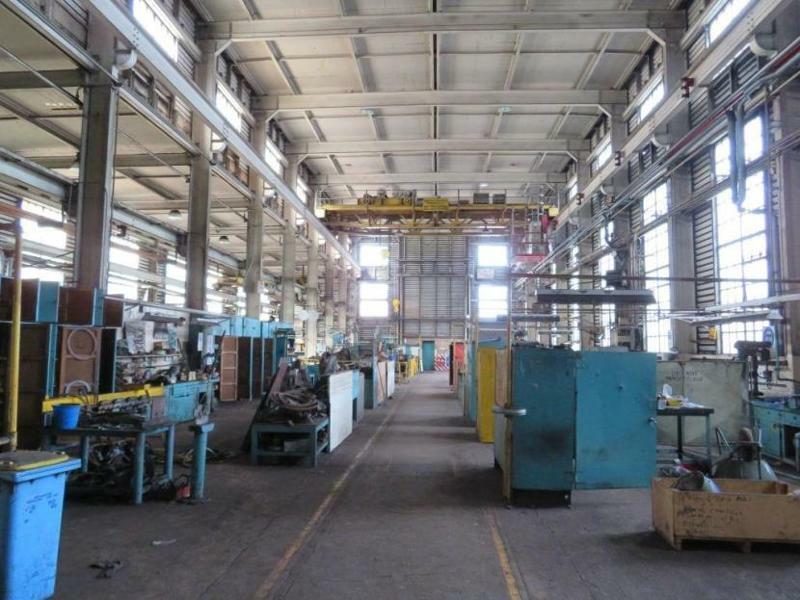 The interiors of the buildings and all plant and equipment are also of significance. 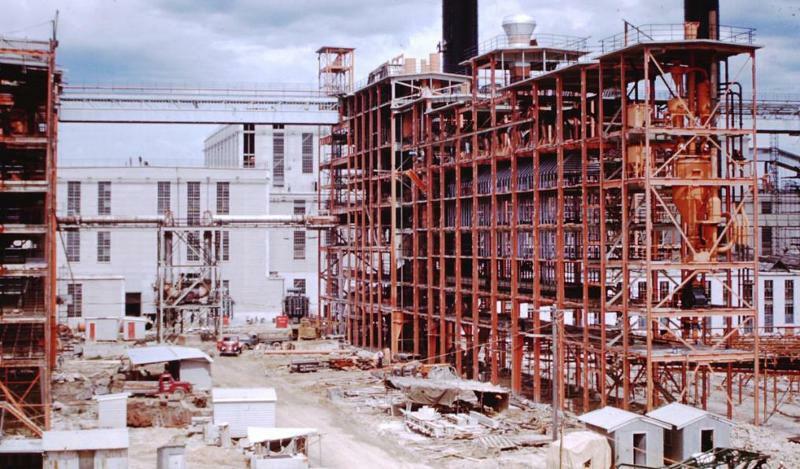 The Morwell Power Station and Briquette Factories was constructed between 1949 and 1959 by the State Electricity Commission of Victoria (SECV). 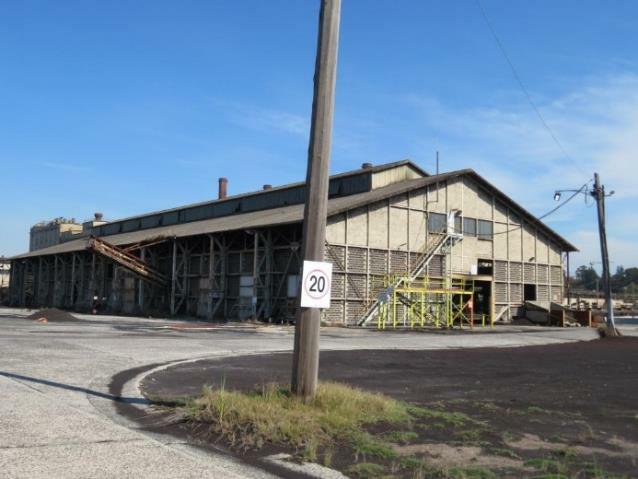 It was the centrepiece of the Victorian Government's postwar strategy to revitalise Victoria's industrial and economic growth through the development of the Latrobe Valley into the state's principal power and energy producing region. The Yallourn Power Station had been established in 1921 and electricity started flowing to Melbourne in 1924. Morwell was the next project to capitalise on the region's brown coal resources. Its purpose was to provide electricity to a rapidly growing population, alleviate power shortages, produce briquettes for industrial and domestic use, and to reduce the reliance of Victoria on black coal from New South Wales. Building on knowledge from Yallourn, the SECV sourced briquetting equipment from Germany and boilers and turbines from Britain. 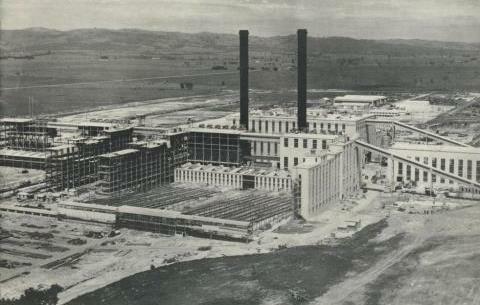 Electricity production at Morwell Power Station commenced in December 1958. 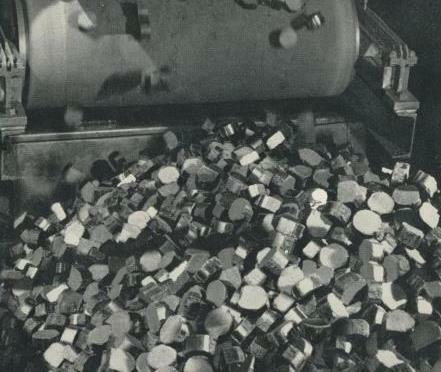 The first commercial briquette production commenced in December 1959. 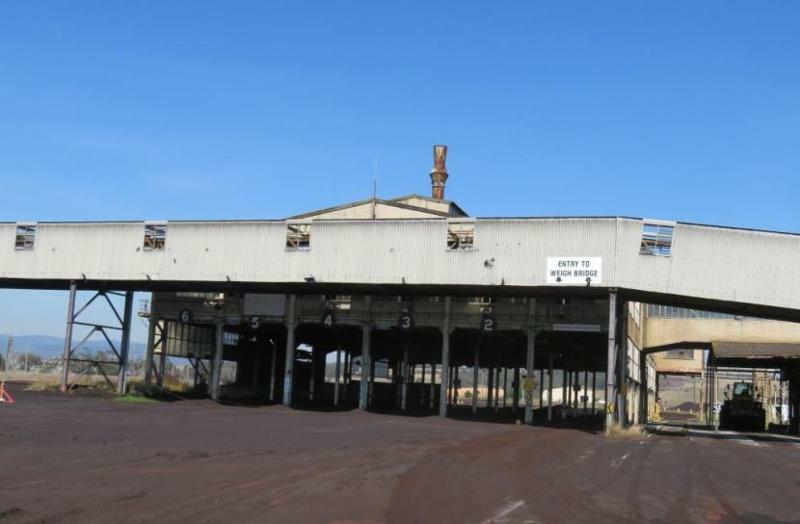 It was soon discovered that the brown coal from the Morwell open cut mine was unsuitable for briquetting, and Yallourn coal had to be transported to the Morwell factories. 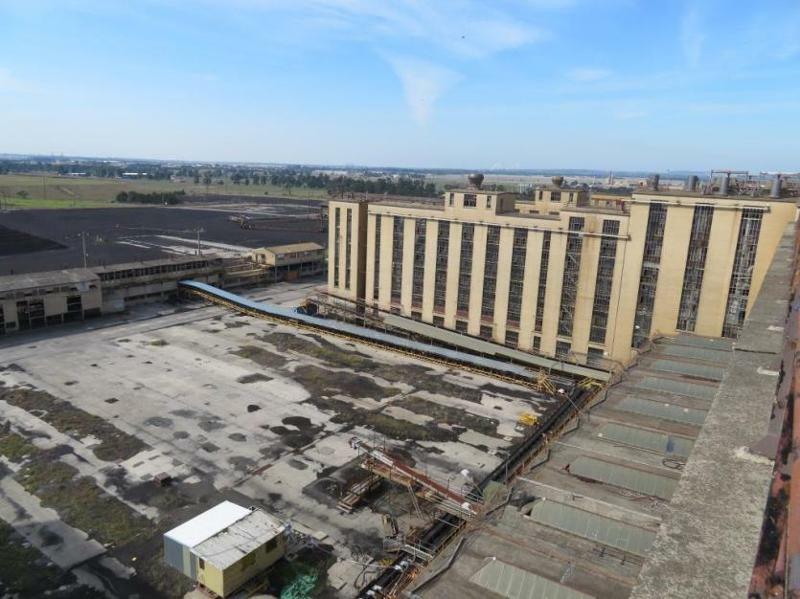 From the commencement of its operations the Morwell Power Station and Briquette Factories workforce consisted largely of post-war immigrants from Britain, Italy, the Netherlands, Germany and other European countries. Many of these migrants settled permanently in the Latrobe Valley and as the power industry grew, a multi-generational workforce developed within the region. By the early 1960s, Morwell, not Yallourn, had become the nerve centre of the new industrial valley. After Hazelwood Power Station went into operation the proportion of Victoria's electricity supply sourced from brown coal in the Latrobe Valley reached almost 90%. 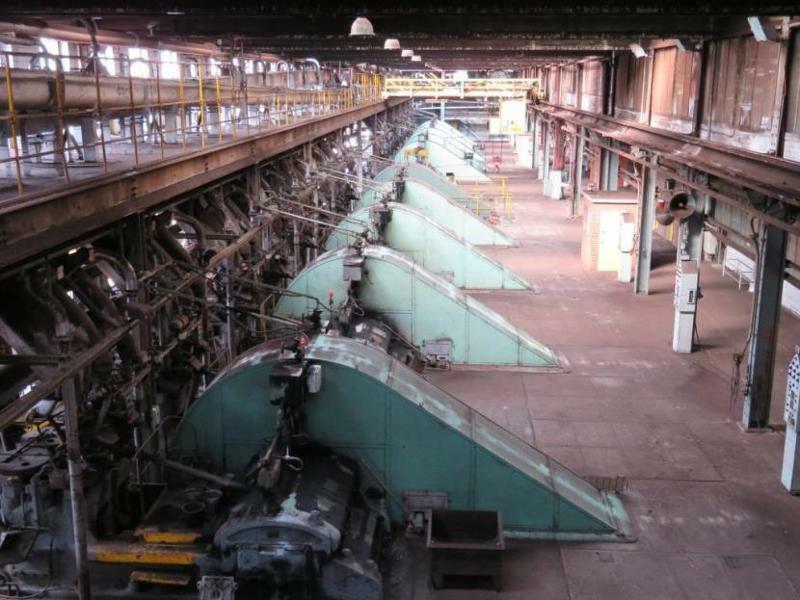 The briquette plant at Morwell was one of the first components of the SECV to be privatised in late 1993 with the creation of Energy Brix Australia. 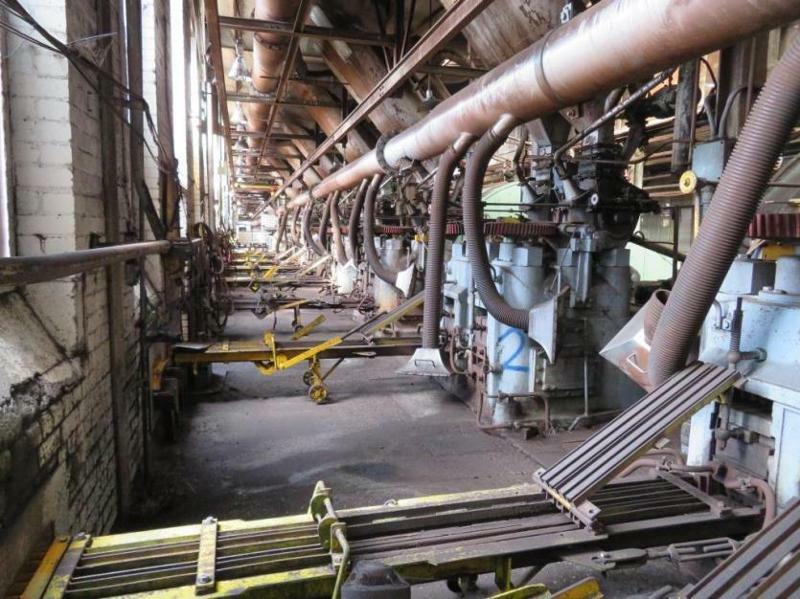 Following declining profits and the impact of fires in 2003 the plant closed in 2014. 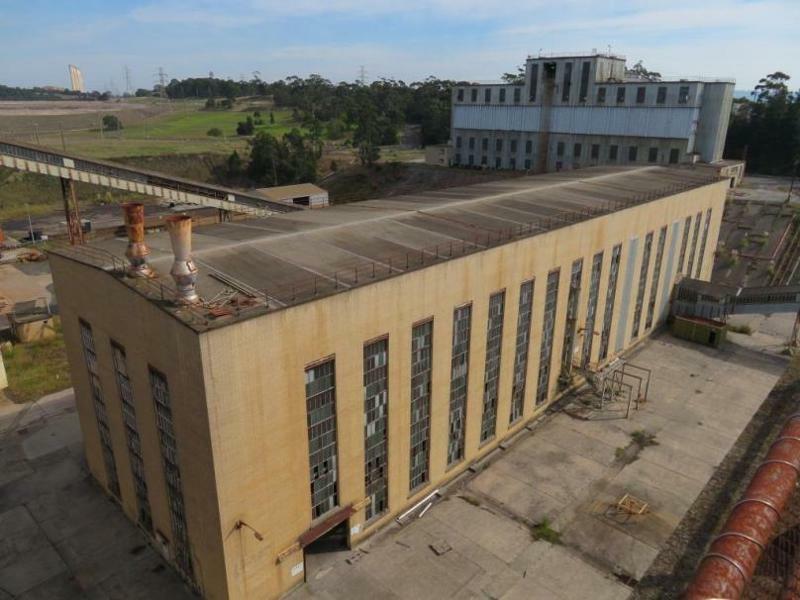 The Morwell Power Station and Briquette Factories is a large industrial complex located approximately two kilometres south east from the Morwell Railway Station and includes a power station, two briquette factories, coal transportation systems, storage areas and ancillary buildings. Buildings are constructed using a variety of different methods and materials. 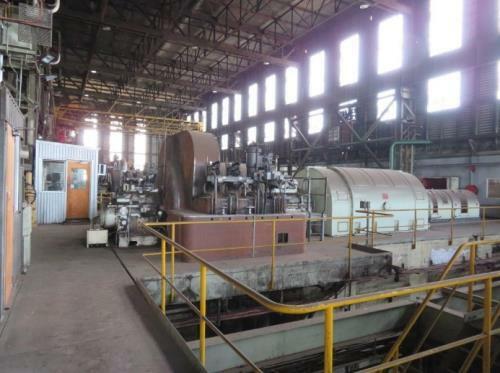 The layout of the place is informed by the processes of power generation and the manufacture of briquettes, with coal conveyed into the place from the west, and distributed to either the Power Station or the Briquette Factories. Output in the form of electricity or briquettes occurs at the eastern side of the site. The Morwell Power Station and Briquette Factories is located on the traditional land of the Braiakaulung people of the Gunnaikurnai clan. There is no Registered Aboriginal Party (RAP) for the site. The Gunaikurnai hold Native Title over this area. A Recognition and Settlement Agreement under the Traditional Owner Settlement Act 2010 also covers this area. Criterion B Possession of uncommon, rare or endangered aspects of Victoria's cultural history. All of the place shown hatched on Diagram 2377 being part of the southern part of the land described on Certificate of Title 10924 Folio 783. Coal is a combustible black or brownish-black sedimentary rock usually occurring in rock strata in layers or veins called coal beds or coal seams. It is formed from accumulated vegetable matter that has been altered by decay and by heat and pressure over millions of years. The different types of coal (including black and brown) reflect the stages in the transformation of vegetable material into coal - a fossil fuel - over geological time. The use of coal as a source of energy goes back thousands of years. It became important in the Industrial Revolution of the nineteenth and twentieth centuries, when it was primarily used to power steam engines, heat buildings and generate electricity. Transformed into coke, coal was an essential fuel for blast and reverberatory furnaces needed by the iron and steel industry. By-products from the coking process can be used to make bitumen, chemicals and dyes, and form compounds used to produce high explosives. Coal can also be transformed to fuels such as gas and petrol and diesel fuel. Australian coal is either high-quality bituminous coal (black coal) or lower-quality lignite (brown coal). Black coal can be found in Queensland and New South Wales, whereas brown coal is found in Victoria. Brown coal is a lesser quality coal, usually with a very high moisture content. But this 'not very good' coal can be economical if mined in large quantities and fed into boilers adjacent to the mine site. Victoria lacks significant deposits of black coal, but there are large deposits of brown coal in the Latrobe Valley. These deposits are close to the surface and are able to be mined by open cut methods. At the turn of the twentieth century, Victoria's main fuel and energy source was black coal imported from New South Wales. Electricity was generated by steam raised from black coal, trains were powered by black coal, and black coal was used in factory furnaces. Supply was always uncertain, interrupted by strikes on the NSW coal fields and in the transport industry. At the time, Victoria's electricity supply was also haphazard, provided by private companies or local councils. To help boost the state's fuel independence, the government began developing Victoria's limited black coal resources, by establishing a state coal mine at Wonthaggi in 1909. Victoria had another energy resource to exploit: massive deposits of brown coal lying along the Latrobe River in Gippsland. Brown coal was used extensively in Germany for power generation and briquetting. In 1917, a Brown Coal Mine Advisory Committee that had been formed to consider electricity production, acted swiftly to recommend building a power station on the south side of the Latrobe River. In 1918, legislation was passed that determined that electricity generation in Victoria would be provided by a public corporation, and not by private enterprise. This was the genesis of the State Electricity Commission of Victoria (SECV), which would have a mandate to electrify Victoria with a state-wide supply. The man chosen to head the SECV was Melbourne engineer Sir John Monash, one of the most talented of the Allied generals in World War One. 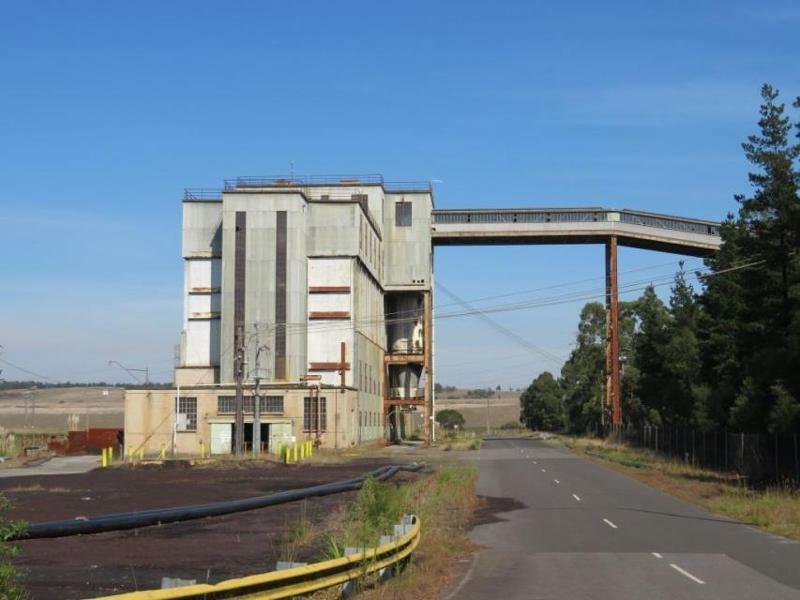 The task ahead of him was immense: overseeing the development of an open cut mine, power station and briquette factory ten kilometres to the north of Morwell which became known as the Yallourn Power Station. Electricity began flowing to Melbourne from Yallourn in winter 1924 and supplied power throughout the 1930s although expenditure was curtailed by the onset of the Great Depression. During WWII the demands placed on the SECV were immense. It was supplying munitions factories and other industries involved in the war effort, connecting country areas to the grid to increase food production, and using its own workshops to assist with manufacturing and assembling vitally-needed war equipment. 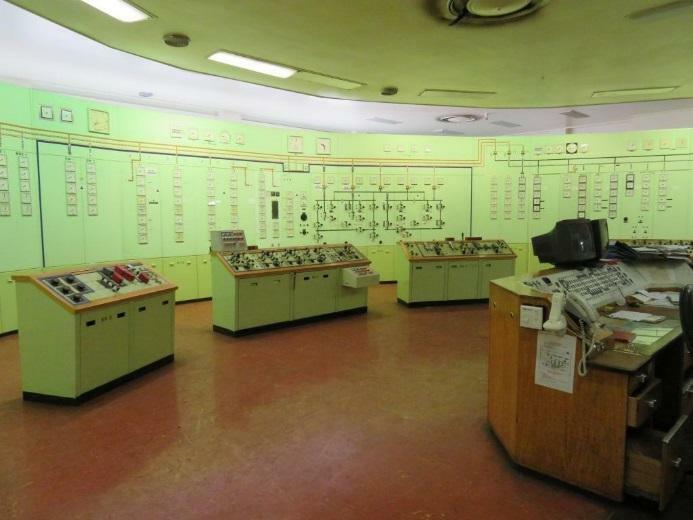 At Yallourn, generating capacity was greatly increased. In 1941-2, 67% of Victoria's electrical energy came from the Yallourn power station, while the briquette factory worked 24 hours a day. During the war years, the SECV was already formulating postwar plans for increasing Victoria's fuel and energy supplies. 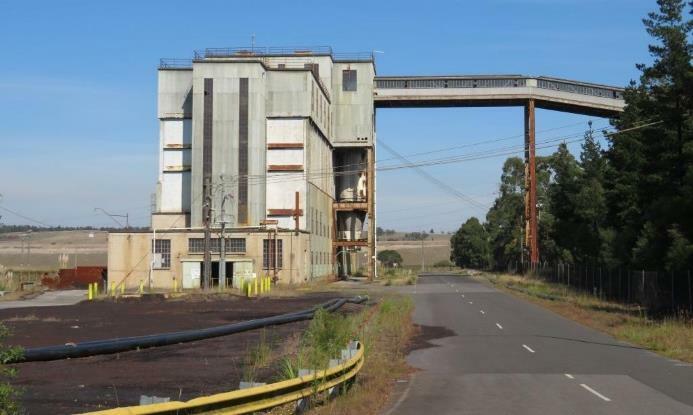 The state was still reliant on New South Wales coal for about half of its energy needs, in spite of the Yallourn works and the SECV's hydro-electric scheme. On top of this power rationing was introduced in Victoria in 1946 and 1947, and as a consequence a Royal Commission was held to inquire into the situation. The SECV had to prepare for a postwar society that would have dramatic increases in population, industry and energy demands. In its 1947 annual report the SECV revealed plans for massive developments. A new industrial region stretching from Moe in the west to Traralgon in the east, the Latrobe Valley, was to be developed. 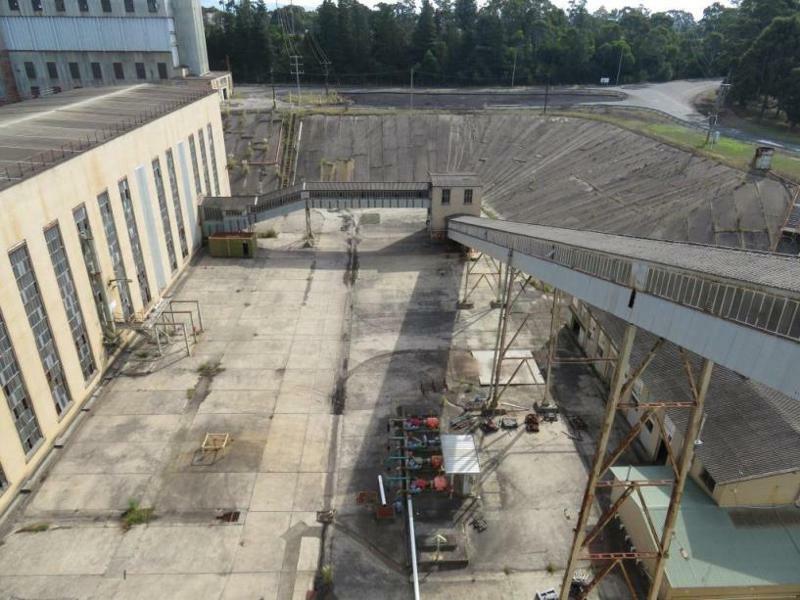 Coal mining, briquetting and power generation would no longer be restricted to Yallourn. 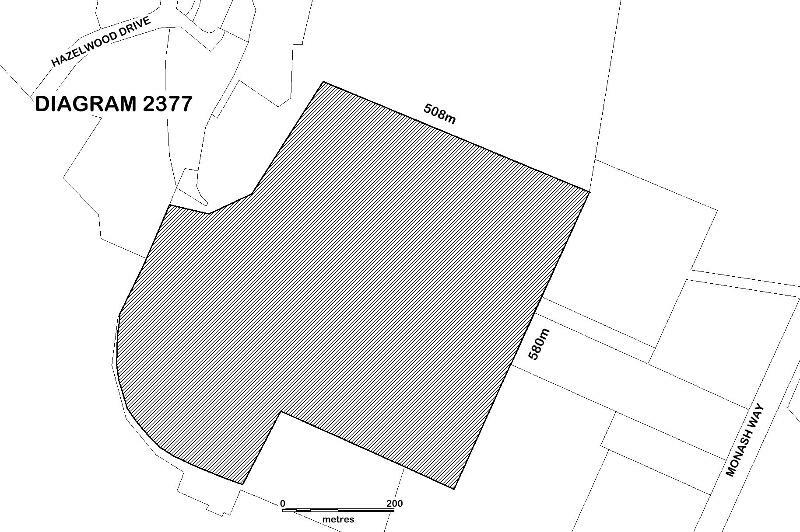 A new open cut would be developed south of Morwell, supplying brown coal to two briquette factories and a power station. In this new region, Morwell, Moe and Traralgon would expand as urban centres with large increases in population. The Victorian Government considered that the state's future was based on the provision of brown coal in the form of briquettes as fuel for industrial and domestic use, and that this would effectively sever Victoria's reliance on black coal from NSW. During the mid-twentieth century, briquettes were a key source of fuel for domestic heating and cooking and as an industrial energy source in Australia. A 'briquette' is a small compressed block of coal used for fuel. 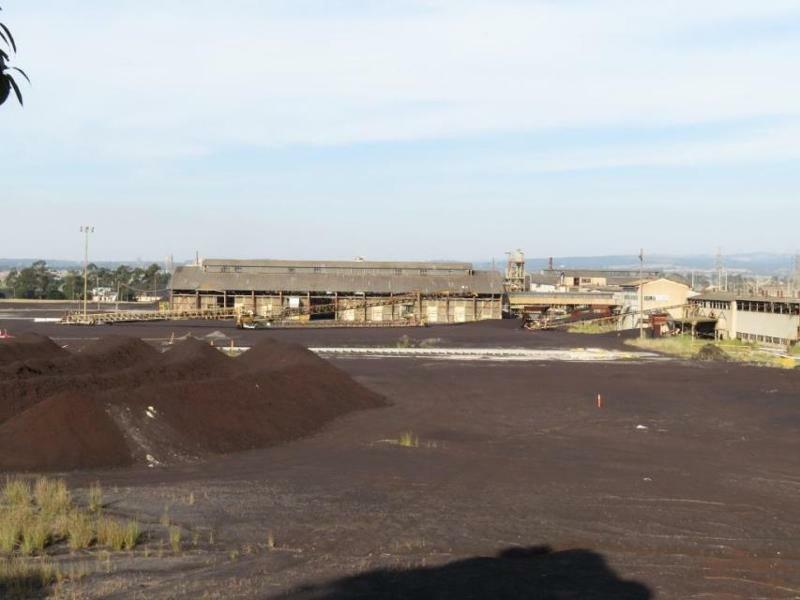 Victoria's initial briquette plant was established at Yallourn during the 1920s to take advantage of the extensive brown coal deposits in the area. The SECV encouraged the use of briquettes as a replacement for imported black coal in subsequent decades. After the introduction of natural gas to the state from the 1950s, briquette usage in Victoria decreased. The Morwell Energy Brix factory continued in operation until August 2014. Work began on the Morwell open cut and briquette factories in 1949 and the SECV's chief engineer, Ernest Bate travelled to Germany and ordered plant for the first two briquette factories as well as dredges and other machinery. In June 1950 Bate visited the United Kingdom and Germany to review progress of the contracts. On his return, he reported that the equipment should be ready for the first factory to be brought into operation in 1953, and the second in 1954. He also advised that further orders would be accepted for additional plant by the suppliers as set out in the overall plan for four briquetting plants. The SECV expected the first factory to start operating in 1953. But by 1952, the whole project had come to a halt. 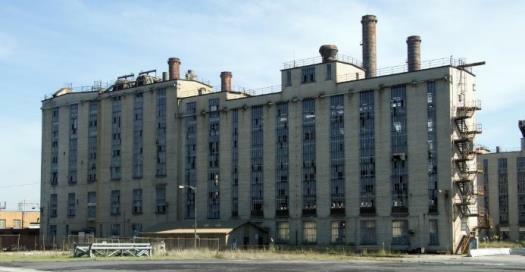 The recession of 1951 with its credit restrictions had resulted in dismissal of half of the workforce, while equipment for the first two factories lay in limbo at the site. Delivery of the further two factories had been deferred. Four years later, the project was recommenced. The Government's plan, however, was a very different one from that of the late 1940s. Although the SECV decided to persevere with the first two briquette factories, it cancelled the orders for the planned third and fourth. 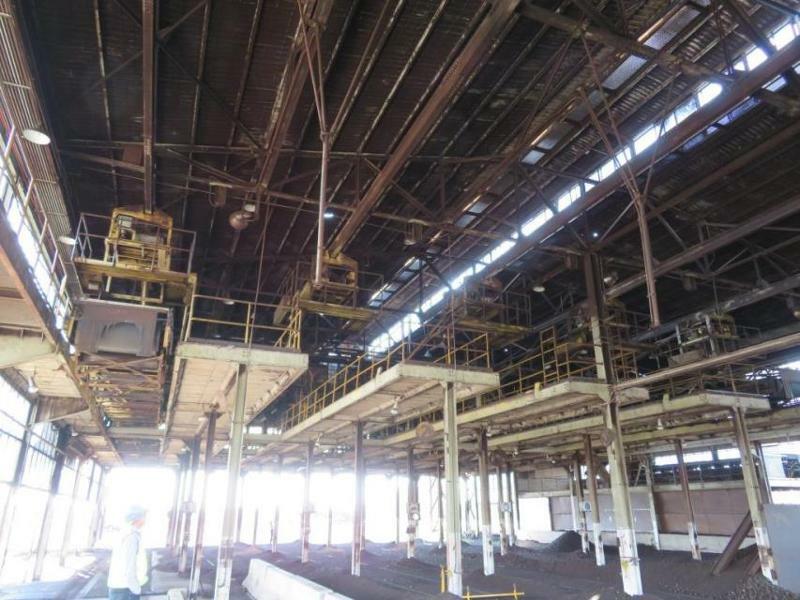 The Morwell project's priorities were now changed from briquetting to electrical power generation. In 1956, the SECV announced that a gigantic new power station, the Hazelwood power station, with a capacity for 1000 megawatts, would be built to the south of the open cut. 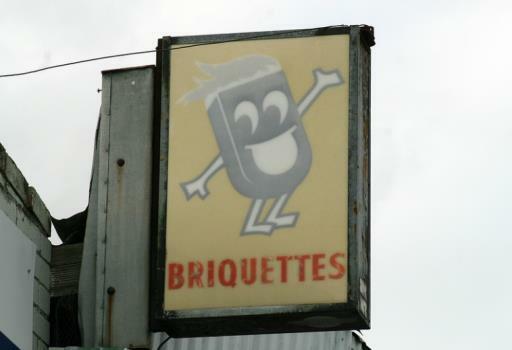 The briquette factories at Morwell opened in December 1959 but their operation became secondary to power generation. It was unexpectedly discovered that coal from the Morwell open cut with its high alkali and sulphur content was not suitable for briquetting. The briquettes deteriorated quickly and fouled the boilers. Yallourn coal had to be transported to supply the Morwell briquette factories on the interconnecting railway, which was an additional cost. At this time, a decline in demand for briquettes was becoming evident, due to competition from oil, electricity for domestic heating, and several years later, the discovery of natural gas in Bass Strait. From the 1960s onwards Morwell's primary output was electricity, and it - not Yallourn - had become the nerve centre of the new industrial valley. After Hazelwood Power Station went into operation the proportion of Victoria's electricity supply sourced from brown coal in the Latrobe Valley reached almost 90%. From the late 1970s more brown coal fired power stations were built in the Latrobe Valley: Loy Yang A, B, C, D, (1977 - 1988). Jeeralang A and B opened 1979-80 but is gas-fired. In 1993, Energy Brix Australia was created as the first newVictorianGovernment Business Enterprise established under the StateOwnedEnterprises Act. A fire significantly damaged the plant on BoxingDay2003, destroying the coal cross-over conveyor that fed B, C &Dbriquette plants. Following the fire, only A plant continuedinoperation. The concrete bunker roof in A & B factory was alsobadlydamaged and had temporary repairs carried out to strengthenitssupports. Coal supply to the plant was disrupted by the HazelwoodMinefire in February 2014. 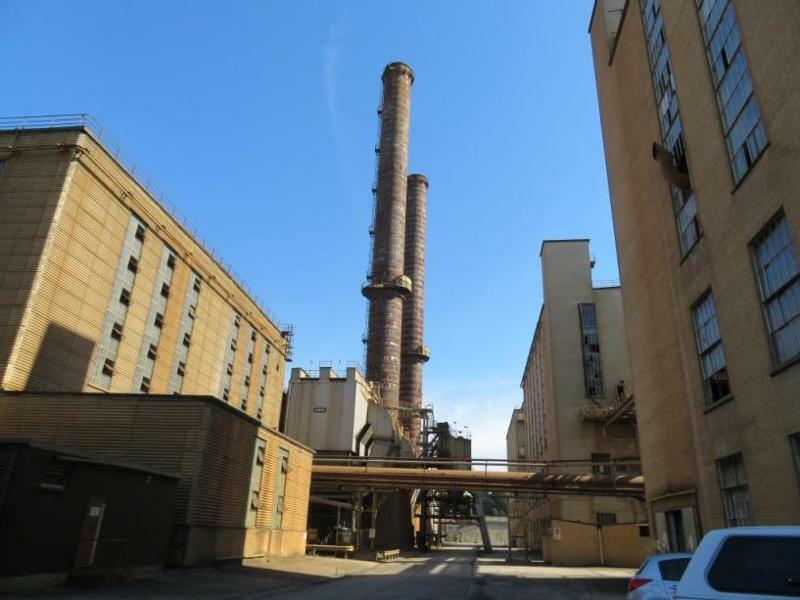 These factors and low profits and ageingplantlead to the decision by Energy Brix Australia to cease operationsandclose the plant in July 2014. Electricity Commissioners (1920). Electricity Commissioners: report for the period 7th March, 1919, to 30th June, 1920 : together with statement of accounts. Melbourne, Albert J. Mullett, Government Printer. Elford, H. S. and M. R. McKeown (1947). Coal Mining in Australia. Melbourne, Tait Publishing Company Pty. Ltd.
Fletcher, M. (2015) An Overview of Brown Coal Mining and Electricity Generation in the Latrobe Valley, from the Establishment of the State Electricity Commission of Victoria to Privatisation. Godden Mackay. (1994). Yallourn Power Station. Godden Mackay. (1995). 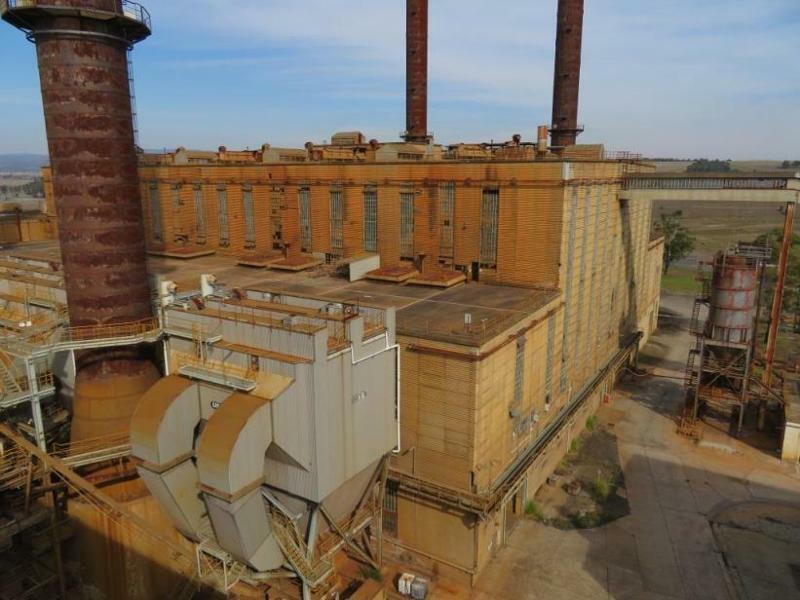 Industrial Heritage of Power Generation (report prepared for The Electricity Supply Association of Australia (Australian Electricity Supply Industry Research Board). Harvey, C. (1993). Yallourn Power Station : a history, 1919 to 1989. [Melbourne], State Electricity Commission of Victoria. Hargraves, A. J., Ed. (1993). History of Coal Mining in Australia. Monograph Series. Melbourne, The Australasian Institute of Mining and Metallurgy. Holgate, G. R. (2002). Coal: world-class energy reserves without limits. Geology of Victoria. W. D. Birch, J. A. Ferguson and M. Slots. Melbourne, Geological Society of Australia. Victorian Division: 489-526. Herman, H. (1922). Brown Coals of Victoria. Melbourne, Albert J. Mullett, Government Printer. Herman, H. (1952). Brown coal: with special reference to the State of Victoria, Commonwealth of Australia Melbourne, State Electricity Commission of Victoria. Johnston, C. (1991). Latrobe Valley Heritage Study, A Latrobe Regional Commission Publication. Royal Commission on Coal (1890). Second progress report of the Royal Commission appointed to inquire as to the best means of developing and promoting the coal industry of Victoria. Melbourne, Robt. S. Brain, Government Printer. Royal Commission on Coal (1891). Final report of the Royal Commission appointed to inquire as to the best means of developing and promoting the coal industry of Victoria. Melbourne, Robt. S. Brain, Government Printer. State Electricity Commission of Victoria (1939). State Electricity Commission of Victoria : twentieth annual report covering the financial year ended 30th June, 1939, together with appendices. Melbourne, T. Rider, Government Printer. State Electricity Commission of Victoria (1947). Report of State Electricity Commission of Victoria on further development of the briquette industry based on the brown coal resources in the Latrobe Valley. Melbourne, Govt. Printer. State Electricity Commission of Victoria (1948). Morwell briquette project. Melbourne, Vic, State Electricity Commission of Victoria. State Electricity Commission of Victoria (1953). State Electricity Commission of Victoria: thirty-fourth annual report for the financial year ended 30th June 1953 : together with appendices. Melbourne, W. M. Houston, Government Printer. State Electricity Commission of Victoria (1960). State Electricity Commission of Victoria: forty-first annual report for the financial year ended 30th June 1960 together with appendices. Melbourne, A. C. Brooks, Government Printer. Stretton, L. E. B., H. T. M. Angwin and B. S. Woodfull (1947). Report of the Royal Commission to Inquire into Electricity Supply 1947. Melbourne, J. J. Gourley, Government Printer. Unknown. (2013). 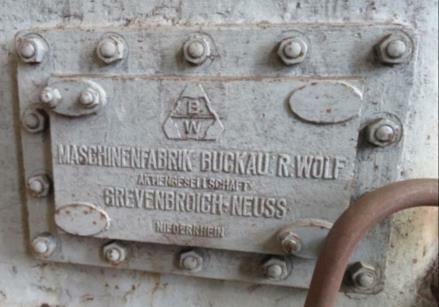 "Die Maschinenfabrik Buckau R. Wolf: Vielseitigkeit im Herzen von Grevenbroich." StattBlatt (Sonderausgabe Spurensuche ): 39-42. Victoria: Legislative Council and Legislative Assembly (1951). Parliamentary Debates; Ministerial Statement - Duplication of Morwell Briquetting Project. Melbourne, J. J. Gourley, Government Printer. CCXXXIII: 1196-1198. Vines, J. (2008). Coal Mining Heritage Study in Victoria. Melbourne, The Heritage Council of Victoria. Woskoboenko, F., W. O. Stacey and D. Raisebeck (1991). Physical structure and properties of brown coal. The Science of Victorian brown coal : structure, properties, and consequences for utilisation. R. A. Durie. Oxford, Butterworth-Heinemann, 1991. Wilson, P. J. and J. H. Wells (1950). Coal, Coke and Coal Chemicals. New York, McGraw-Hill Book Company, Inc.
Criterion H Special association with the life or works of a person, or group of persons, of importance in Victoria's historyWhy is it significant?
. Repair, maintenance and patching like with like. This includes the removal of broken glass, replacement of existing fabric to match original.
. The temporary shuttering of windows and covering of holes as long as this work is reversible and does not impact on heritage fabric.
. Removal of non-original items such as plumbing work, ducting, wiring, fixtures and fittings such as hot water services and taps (excluding plant and machinery associated with power generation and briquetting), and making good in a manner that does not have a detrimental impact on the heritage fabric of the place.
. Painting of previously painted surfaces provided that preparation or painting does not remove original or early painted signage.
. Removal or replacement of hooks, nails, noticeboards, carpets, flexible floor coverings non-original curtain tracks, rods and blinds.
. Erecting, repairing and maintaining signage (safety and directional signage, road signs, and speed signs) where such signage does not have a detrimental effect on the heritage fabric of the place.
. Installation, removal or replacement of electric clocks, public address systems, detectors, alarms, emergency lights, exit signs, luminaires and the like in a manner that does not have a detrimental impact on the heritage fabric of the place.
. Removal, replacement or installation of fire hydrant services including sprinklers, fire doors and elements in a manner that does not have a detrimental impact on the heritage fabric of the place.
. The erection of temporary security fencing, scaffolding, hoardings or surveillance systems to prevent unauthorised access or secure public safety which will not adversely affect any building or element.
. Emergency stabilisation necessary to secure safety where a site feature has been irreparably damaged or destabilised and represents a safety risk to its users or the public. Note: Urgent or emergency site works are to be undertaken or supervised by an appropriately qualified heritage specialist such as a structural engineer, or other heritage professional. Buildings and features of little or no heritage significance (Former No.3 Ash Pond, settling ponds, gatehouse, steel sheds) . Demolition. A permit is required for any new structure. Landscape . Maintenance, removal and planting of vegetation.
. All works to manage possums and vermin (such as rats) which do not have a detrimental impact on the heritage fabric of the place. 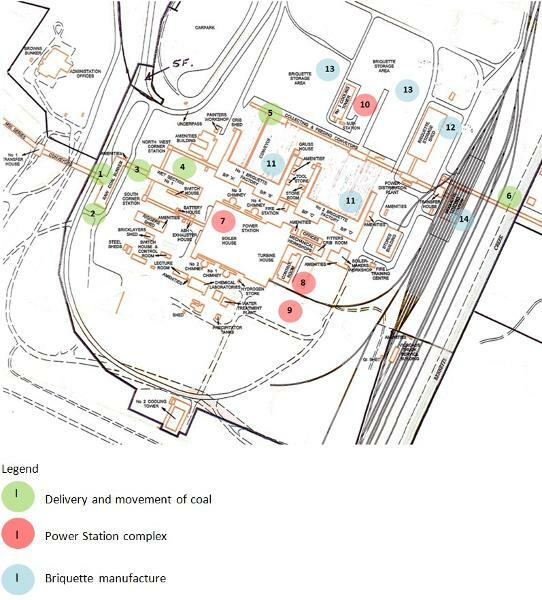 The extent of registration of the Morwell Power Station and Briquette Factories on the Victorian Heritage Register affects the whole place shown on in Diagram 2377. Under the Heritage Act 1995 a person must not remove or demolish, damage or despoil, develop or alter or excavate, relocate or disturb the position of any part of a registered place or object without approval. It is acknowledged, however, that alterations and other works may be required to keep places and objects in good repair and adapt them for use into the future. It is recommended that a Conservation Management Plan is developed to manage the place in a manner which respects its cultural heritage significance. 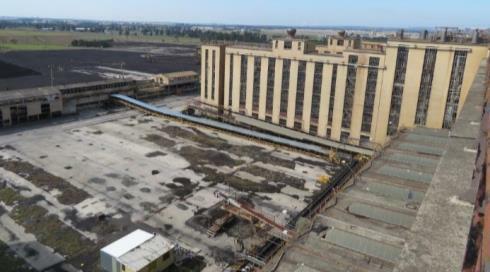 A future Conservation Management Plan should also provide for the management of health and safety risks presented by the complex industrial infrastructure at the Morwell Power Station and Briquette Factories, including provision for the safe management of any asbestos present. If works are proposed which have the potential to disturb or have an impact on Aboriginal cultural heritage it is necessary to contact Aboriginal Victoria to ascertain any requirements under the Aboriginal Heritage Act 2006.If any Aboriginal cultural heritage is discovered or exposed at any time it is necessary to immediately contact Aboriginal Victoria to ascertain requirements under the Aboriginal Heritage Act 2006. Ground disturbance may affect any archaeological deposits at the place and, subject to the exemptions stated in this document, requires a permit. 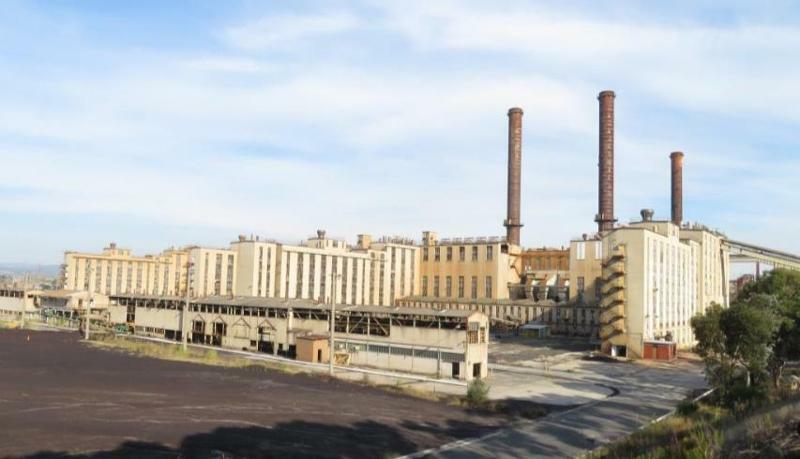 The Morwell Power Station and Briquette Factories is historically significant as the centrepiece of the Victorian Government's post-WWII strategy to revitalise Victoria's economic growth through the development of the Latrobe Valley into the state's principal power and energy producing region. 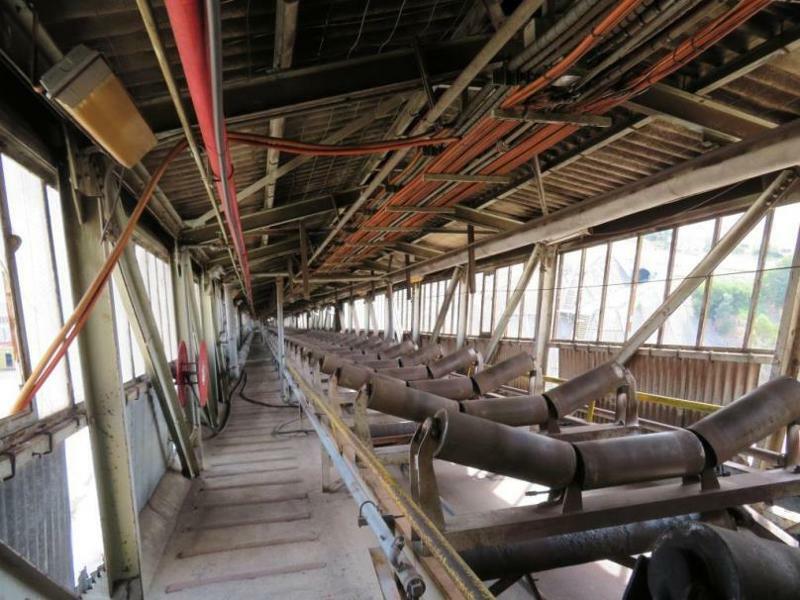 The place is a highly intact example of a mid-twentieth century power station and briquetting factory. The place is rare for containing the only remaining, intact assemblage of mid-twentieth century briquetting machinery in Victoria. 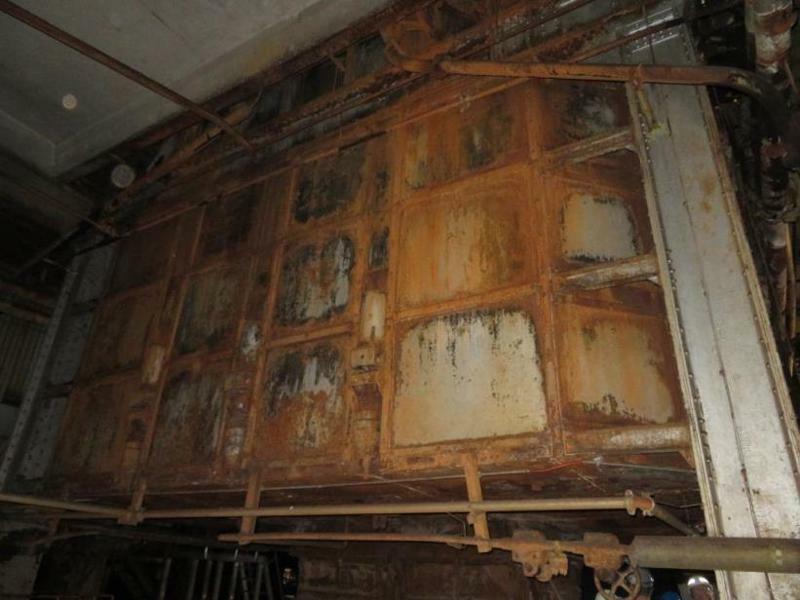 The boilers used in the production of electricity at the Morwell Power Station are rare examples of boilers which have been specifically adapted for the burning of brown coal. a) All of the buildings, structures and features listed here are of primary cultural heritage significance in the context of the place. A permit is required for most works or alterations.
. Selected machinery/plant within each building or structure (including boilers, burners, turbines, briquette machines, primary and secondary crusher). b) Buildings, structures and features listed here are of contributory cultural heritage significance in the context of the place. A permit is required for some works or alterations.
. Ancillary/support buildings, including the amenities buildings, riggers shed, switch house control room, chemicals laboratory, water treatment plant, sites of the former cooling towers, lecture room, offices, battery house.
. Former No.3 Ash Pond, settling ponds, gatehouse, steel sheds.